Indie Retro News: R.I.S.K. 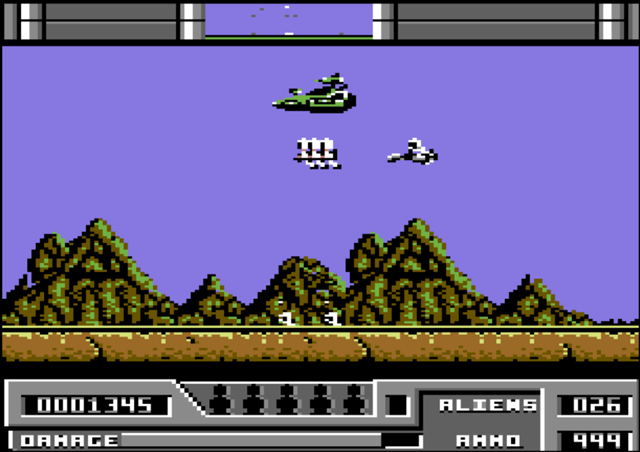 - Alien busting action on the C64 with a worthy crack! R.I.S.K. 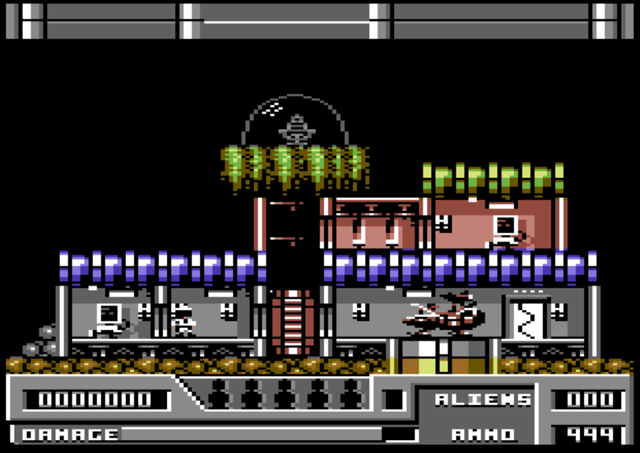 - Alien busting action on the C64 with a worthy crack! I wasn't going to mention the game everyone's talking about... Hostile Alien environments, many varied enemies attacking in swarms, negotiating the planet's surfaces with your blaster equipped skimmer. While trying to determine friend from foe. 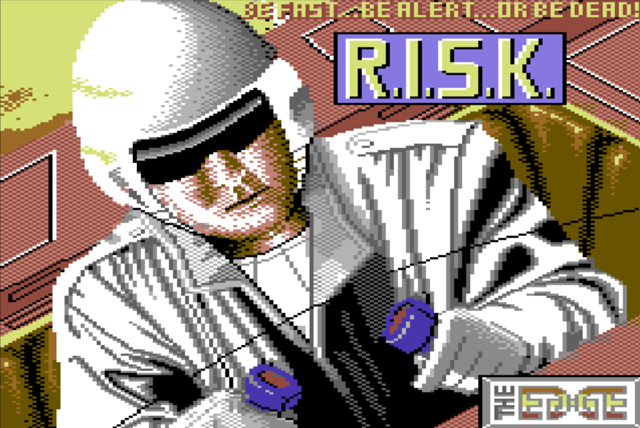 But if "No Man's Sky" had been released in 1987, it might have looked a bit like this...This is R.I.S.K: Rapid Intercept Seek and Kil. The game's graphical charm stands out right from the start, the style of sprites is reminiscent of the excellent Parallax. From the game's opening screen walking around your Home Base and viewing your customisable heavily armed skimmer, a computer terminal to access ship upgrades, and a neatly laid out user interface and map screen from which you can strategically plan your own path through the game's levels. The basic premise is to destroy all aliens on each sector of the map, while picking up friendly scientists (boffins) who need to be rescued from the surface, and when combined with other supplies can heal or upgrade your ship. The UI displays a defender style radar, so you get a bit of warning of approaching enemies, and where the friendlies and pickups are. So far all the game elements are in place for my perfect type of game. Multiple paths throughout the game, and basic defender style shooting action. Unfortunately the game is let down by rather unresponsive ship controls. Like the time it takes to turn your ship around, and the slow fire rate. It's one of those games which could've been so much better with some balance tweaks. The damage repair module available from home base only heals a tiny proportion of your health bar. And that is only if you miraculously managed to pickup some supplies in the game's underground sub levels. The crack itself is marked improvement over previous versions of the game you can find online. The disk version had many show stopping crashes, which didn't seem to affect the tape version, so crackers "Pugsy" took the much more stable tape original, added some really nice documentation, fixed some of the original game's bugs, and added the usual array of trainers. But released a couple of years later, Thalamus's Retrograde took a very similar formula but made it a whole lot better. Thanks Solo Kazuki for the heads up!